There was once a time when people had to go to a theater to watch movies. There was also a time when they called Moviefone to hear an automated message slowly read out the showtimes. MoviePass is trying to revive that first golden age and has now decided to throw its considerable weight behind the second, buying the showtimes company that most people probably thought was dead. Moviefone is still alive, but it’s a shadow of its former self. Of course, few people want to wait around listening to showtimes on the phone anymore, so Moviefone has a website that’s a lot like Fandango. There’s news about films in theaters, on DVD, and streaming services. You can also find local showtimes on the companus’s site, but when you go to purchase a ticket you ultimately end up doing it through Fandango’s payment service. Still, the site gets “over 6 million monthly unique visitors,” according to a statement sent to Gizmodo from MoviePass’s parent company, Helios & Matheson. When Moviepass first announced that it would offer a subscription to see a film a day in theaters for just 10 bucks a month, people probably had a similar feeling that they do hearing this Moviefone news. The name sounds vaguely familiar, but they haven’t heard about it in years. So far, MoviePass is losing a buttload of money, but it’s growing at a crazy pace and continually cutting prices—that makes the film industry nervous. At first, it doesn’t seem like Moviefone holds all that much value for Moviepass, but it got it for a steal. According to the statement, Helios and Matheson will pay Oath (Verizon) $1 million in cash and supply it with about $8 million worth of common shares in its company. Oath also gets warrants to purchase up to $14 million worth of stock. In 1999, AOL paid $388 million for Moviefone. Oath purchased AOL and Yahoo, and now its offloading Moviefone in a fire sale. 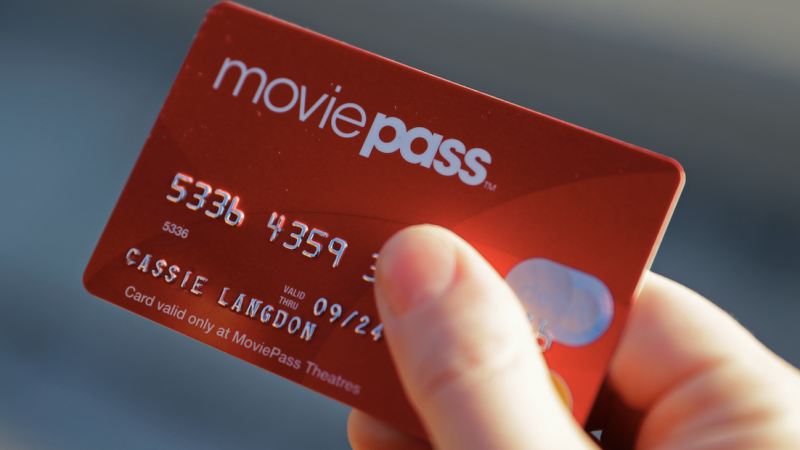 What Moviepass is buying is a platform with millions of monthly visitors that it can use to promote its inexpensive service. It’ll be hard to resist trying out Moviepass if there’s a big reminder that you’re paying more for a single ticket than the price of a monthly subscription. But MoviePass likes to make big bets, and it wouldn’t be surprising if it also starts pumping some investment into Moviefone to make it a stronger competitor against Fandango. From the beginning, MoviePass has said that it just wants to cut some deals with theater chains and studios to get a cut of the increased revenue it provides and to individually promote certain films. It also plans to act as a sort of Groupon-type service offering promotions for things to do before and after a movie. Some theaters are happy to take the boost they’re getting right now but they’re skeptical that MoviePass will be able to survive. AMC has notably resisted the new service and the two companies have been at war. What Moviepass wants is leverage to bargain. It’s building up millions of subscribers that accept its often poor customer service because it’s such a great deal. It’s also gotten into making film acquisitions of its own that it’ll eventually be able to promote through its service. Now, it’s picking up a news service and a potential way to gain leverage over online ticket sales. The Moviepass tentacles continue to spread while the VC money burns, but the all or nothing strategy has been tried and true for Silicon Valley startups for over a decade. Moviepass may end up being a savior for the theater industry the way streaming music has pulled the record business back from catastrophe. It could also end up being another behemoth that hollows out legacy businesses and takes over the way Facebook and Uber have cannibalized the media and transportation fields. Whatever its endgame, Moviepass is trying to go big.